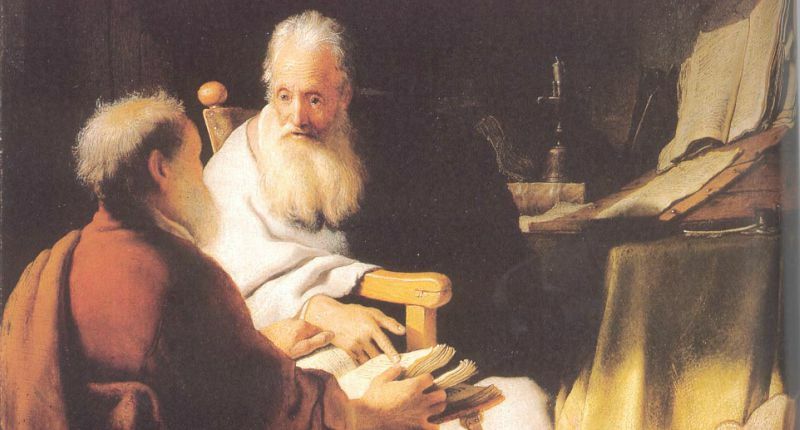 Do you remember when you first realized that the Apostles were real people who kept sinning despite walking with Christ? Or when you read about Paul taking Peter to task? Johannes Brenz (1499–1570) was a German Lutheran theologian and pastor, overseeing reform in Schwäbisch-Hall, Württemberg, and Tübingen. Like many of his contemporaries, Brenz finds encouragement in Paul’s rebuke of Peter in Galatians 2. Even the most respected believers are not above sin and reproof; nevertheless, if we repent, the hope and promise of the gospel remains for us. Paul recounts something else that happened between him and Peter and some others at Antioch, which proves that he did not receive the teaching of his gospel from men, not even from the apostles, so that even though Peter was the chief of the apostles, Paul could still reprimand him for not walking according to the truth of the gospel, and it was Peter who gave in to him, not the other way around. . . .
We have in Peter an example of the weakness of the saints. . . . We are told this not so that we should take comfort in the errors of the saints or excuse our own sins because of theirs and go on sinning, but rather so that we should not despair even when we are reprimanded for our sins by God’s judgment. The sins of the saints are not there to teach us to sin but to remind us that there is still hope of salvation after we sin if we repent. Galatians, Ephesians, ed. Gerald L. Bray, Reformation Commentary on Scripture, NT Vol. X, p. 65.